Vintners from the island-continent Australia have the ambition to become the largest wine producers in the world. And their plans aren’t unrealistic. In just five years the area covered by vineyards has doubled. While in 1996 80,000 hectares were planted with vines throughout the continent, in 2001 grapes were harvested from 160,000. Also, exports of Australian wines doubled, directed mainly to Europe, the US, and Japan, and recently to the Chinese, who are showing signs of changing tastes. By 2025 at the latest, the Australians should overtake the leading wine-producing trio in the world, Spain, Italy, and France. As opposed to Europe, where vines have been cultivated since time immemorial, in Australia grape vines have been grown for just over two centuries. The first governor of Australia, Arthur Phillip, brought the first cuttings on the sailing ship Sirius in 1788, but they were from South America and South Africa, not Europe. Settlers planted them in the area of what is now Sydney. Vintners are doing well mainly in the triangle between Melbourne, Adelaide, and Sydney, where the climate is comparable to that of the Mediterranean region. Melbourne’s latitude in the southern hemisphere is the same as that of Córdoba, Spain, in the northern. Vineyards are located in the following states: Southern Australia, New South Wales, Victoria, Queensland, and Western Australia. Due to insufficient precipitation, most of the vineyards are artificially irrigated. Incidentally, water is also the limiting factor for the further development of viticulture. Other interesting wines come from Northern and Southern Tasmania, which is officially part of Australia, but moister and cooler. 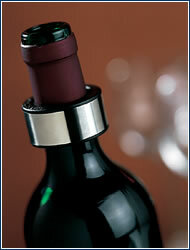 Unlike several French varietal wines, wines from the smallest continent are mostly made from single varietals. There are the same types we know from Czech vintners. Immigrants who come to make wine have generally grown the same varietals they knew from their native lands. However, different soil conditions and climate give Australian wines new dimensions of aroma and flavor. So we can enjoy excellent Australian Rhein Rieslings, Sauvignons, and Chardonnays, or full-bodied but pleasantly fresh reds made from blue varietals like Cabernet Sauvignon, Merlot, blue Burgundy, or Shiraz. The great news is that the number of importers is growing, and there’s lots to choose from. The recent “Australian Week” at Prague’s Corinthia Towers hotel introduced additional vintners, and their products are written about in this edition’s Wine Guide. The Australians have perfectly mastered wine-making and grape-cultivation technologies. While just a few years ago, Europeans would fly to Australia to share their experience, today there is demand for experts from Australia in New World countries like Chile and the US. Not a drop wasted! With this “drop stop” made of plastic and stainless steel,you no longer have to worry about spoiling your white tablecloth when pouring wine. CZK 1,200. May 7-8 – 37th Annual Valtice Wine Markets. Free entry. More information: www.vinnetrhy.cz. May 18- 20 – exhibition “Wine and spirits”. Daily 11 am to 8 pm, entry CZK 200, tel. 222 580 040. Even in central Europe we can discover Australia. There is an ample number of wines from down under on the Czech market, and new brands and importers are constantly appearing. For example, this time we’ve featured products from Riverina Estate in New South Wales, the eighth largest wine producing company on the smallest continent. Characteristics: A fine sample of a well-made Chardonnay, which is steadily gaining in popularity, aged in new oak barriques. 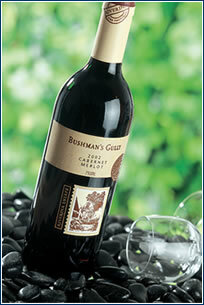 This is wine from a new line, and its producer is garnering awards at exhibitions around the world. Its nose is dominated by vanilla, ripe peaches and tropical fruits, while on the palate one finds the creamy tones of honey. Characteristics: A well produced, pleasantly drinkable blend of two typical blue varietals, with the aroma of plums and black currants, and a nice peppery persistence. Good price/quality ratio. Characteristics: A pleasantly full-bodied wine, dark red, with a spicy nose that endows the plate with coffee-chocolate notes. Aged for 12 months in oak barriques, and unfiltered, so it should be decanted prior to serving. Characteristics: As its name suggests, this wine is produced by the Three Corners vineyard, which is tended with extraordinary care. In its own way this wine is unique, because a vineyard’s name is generally not mentioned for Australian wines. The color is dark and deep, and its nice, velvety taste has a pleasingly long persistence. and are also available at Vindom, a permanent sales exhibition at Na Poříčí 17, Prague 2.